The chugoku region is an area consisting of five prefectures, Tottori, Shimane, Okayama, Hiroshima, and Yamaguchi. In this article, we will introduce the recommended events that are held in the chugoku region in November, they fall into 5 categories: “traditional culture”, “food”, “nature”, “sports”, and “contemporary art”. Okayama Chrysanthemum Festival is an event held at Ujyo park in Okayama castle. Chrysanthemums have been a familiar flower to Japanese people for long time, and it is designated as the flower symbolizing Okayama city. Many chrysanthemums in Japan have spherical shapes and are different from the shape of Western chrysanthemums. The Chrysanthemum Festival is a traditional event held in the fall season of Okayama, and you will enjoy various chrysanthemums arranged with care by various venders. Highlights of the exhibition are “three large-sized chrysanthemum”, “three different colors” with alternately arranged red, white, and yellow chrysanthemum, and “Ookiku flower bed” that consists of a total of 16 pots of chrysanthemum to make one large flower bed. You will enjoy beautiful chrysanthemums in Japanese landscapes at the castle. Free to enter. No reservation required. 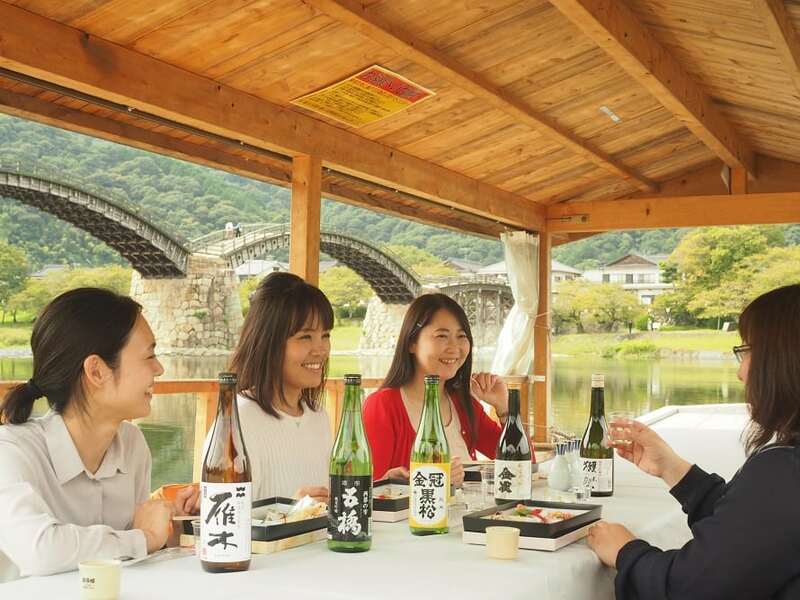 The Autumn Kintaikyo Bridge Jizake Boat Tour is a tour in which you can enjoy and compare five local made Japanese sake drinks in Yamaguchi prefecture, on a boat floating in Nishikigawa River. The tour takes about an hour and you can enjoy traditional local cuisine as well as the five local made sake drinks. While you enjoy the foods and drinks that are all included in the tour price, you can take in the beautiful autumn scenery with Kintaikyo Bridge that is designed with a beautiful arch. If you plan to visit the Chugoku region in November and love drinking sake, this tour is for you. Autumnal leaves are most beautifully colored in November in Japan. Your eyes and tongue will be satisfied with this tour. ・Take JR Sanyo Honsen line from JR Shin Yamaguchi station for 120minutes, Get off at Iwakuni station. Transfer to the bus to Kintaikyo Bridge for 20minutes. Need to make reservation 3 days prior to. Sunset cruise of Seto Inland Sea and Mizushima Industrial Complex is a 90 minute cruise where you can enjoy the sunset and night scenery. The ship leaves before sunset to enjoy the beautiful evening landscape of Seto Inland Sea and its many scattered islands. After sunset, the ship will move to the Mizushima Industrial complex for a fantastic night view. There are more than 200 steelworks and refineries in the Mizushima Industrial complex that never stop at night and the factory area shines white and orange at night. This cruise needs a reservation in advance and will be cancelled for bad weather. The Salvia Festival is held at the Tottori Prefectural Flower Park which is the largest flower park in Japan. You can see the red hill of salvia with the mountain called Daisen characterized by a beautiful silhouette similar to Mt. Fuji. Approximately one million salvias are spread out on the hill between September to November. During the festival period, there are other events such as a petting zoo and tea ceremonies. In addition to salvia, there are other autumn flowers such as chrysanthemums, cosmos, and roses at the flower park. Please come and experience the autumn at the Tottori Prefectural Flower Park. 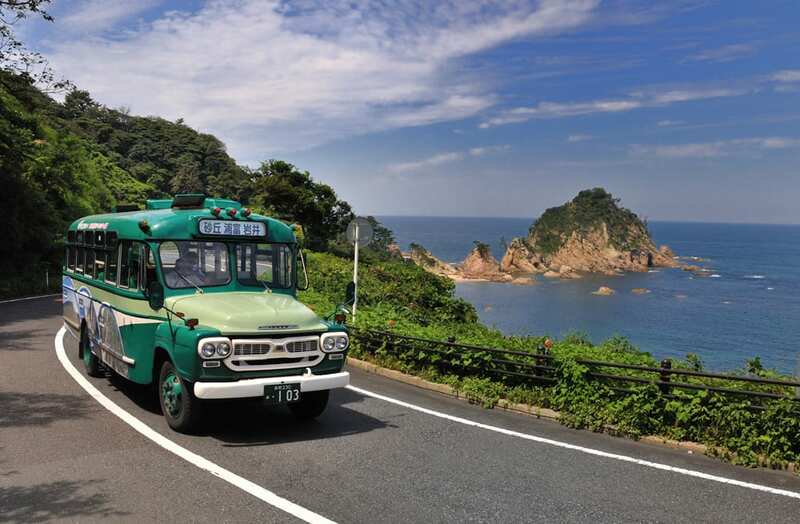 The retro bus tour is a tour that takes you around various locations in Tottori prefecture riding a retro “Bonnet bus” which was commonly used in Japan until 1960s. The cute retro bus will take you around popular sightseeing spots like Tottori sakyu (sand dunes), Japan’s largest desert and the Uradome coast, where you can enjoy beautiful sea color and scenery. In Iwami town, the bus will visit the place depicted in the swimming anime television series “Free!” Also the tour allows guest to wear anime costumes, so it’s an irresistible ride for anime fans. Only a few tour will be held in November, and a reservation is required in advance if you are interested. ・From Tottori station: Take JR Sanin Honsen Line to Iwami station, 25 minutes. ・Limited to 20 guest per bus only, need reservation in advance. about 12,000 people participate in this tournament. There is a 1 kilometer course for kids, 5 kilometer course for novice runners and wheelchair runners, and a 10 kilometer course, so people who don’t exercise regularly or novice marathon runners can participate without worries. At the time of application of this tournament, you are required to choose the course. And it is free if you are only going to support and visit the events. If you are in Hiroshima on the day of the marathon, it would be interesting to stop by there. ・From JR Hiroshima station: Take Hiroden Bus bound for Hiroshima Heliport and Marina Hop, get off at “Sogo ground iriguchi(General ground entrance)”. Takes about 20 minutes. ・When you participate as a runner: between 600JPY to 3500JPY depending on the course. Reservation is required in advance. The Okayama marathon 2017 is a marathon event where as many as 16,200 runners participate every year. 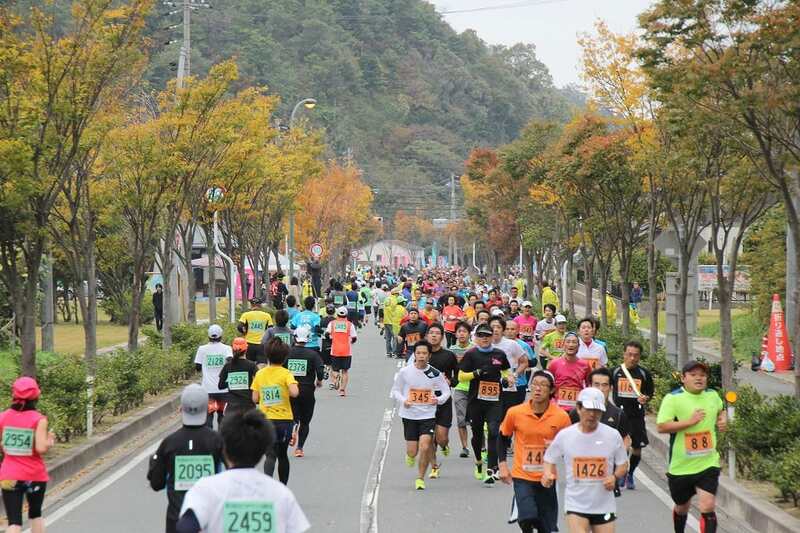 This marathon tournament is recognized by the Japan Athletics Federation, and you can run the official full marathon course located on the Okayama prefectural general ground located near JR Okayama station. There are two courses, a full marathon (42.195 kilometers) and fun run (5.6 kilometers). Participation qualification is 12 years old and older, and only people who can finish the course within the stipulated time limit. On the course, you can enjoy the peaceful views of Okayama like Okayama castle and Okayama Korakuen which is known as a famous Japanese garden. The 13th Nakaumi Marathon national convention is a marathon tournament held at lake Nakaumi in Yasugi city, Shimane prefecture. You can choose various distance courses such as a half marathon, 10 kilometers, 5 kilometers, and 2 kilometers. A family course is available that allows parents and children to run together in pairs of two or three people. You will see beautiful scenery of Nakaumi whichever course you choose. There is also a food court called gourmet village at the venue, and you can enjoy delicious local gourmet dishes after the marathon. Enjoy beautiful Japanese autumn scenery at lake Nakamuni while you enjoy marathon. 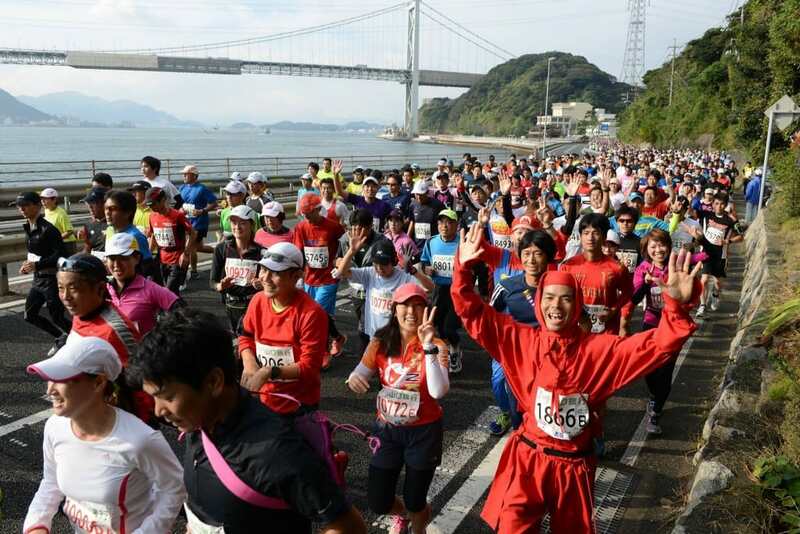 Shimonoseki Kaikyo Marathon 2017 is a marathon tournament to be held in Shimonoseki city, Yamaguchi prefecture. Kaikyo Messe Shimonoseki is the base stadium, you can choose a course from a full marathon, 5 kilometer, and 2 kilometer marathon. Shimonoseki city faces the three seas of Suo nada that is on the Shokoku side, Genkai nada which is on the Kyushu side, and Hibiki nada which is on the Sea of Japan side. Due to the location of Shimonoseki, the marathon course is all ran seaside. And it is a popular marathon tournament because of the Fugu hot pot, the Shimonoseki specialty dish, which will be served to runners. You can enjoy the open sea view and refreshing autumn wind. Fee varies from 1000 JPY to 7000 JPY depending on the course. ・It is free for observation. Yamaguchi Yurameki Corridor is a candle illumination event that is held in Yamaguchi city, Yamaguchi prefecture. The venue is Kozan park in the premises of Rurikoji. Rurikoji is one of the Zen sects of Buddhism, it is a temple of the Soto sect opened by Dogen at about the 11th century, and it is designated as a national treasure. There is also a five-storied pagoda at the temple. During the Yamaguchi Yurameki Corridor, about 1000 candles will light up the park, including near the five-storied pagoda. The temple and five-storied pagoda illuminated by soft candlelight are a beautiful sight to behold. As a concert in the open space is held along with the candle light to provide a romantic atmosphere. ・Free to enter. No reservation required. 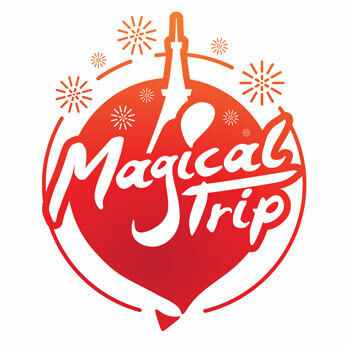 If this got you interested in experiencing deep local culture first hand, we, MagicalTrip provide unique night tours with a friendly local guide in Japan. You’ll get to go to local Izakaya bars to enjoy authentic food and drinks, why don’t you give MagicalTrip’s Bar Hopping Food Tours.